This species is notable for its huge woody seed capsules. They are probably designed for fire resistance. The tree is healthy with a wide, open-grown crown reflecting woodland growing conditions. Very close to buildings and subject to considerable foot and light vehicle traffic. This could eventually cause soil compaction and root damage. Shallow soil developed on granite.. 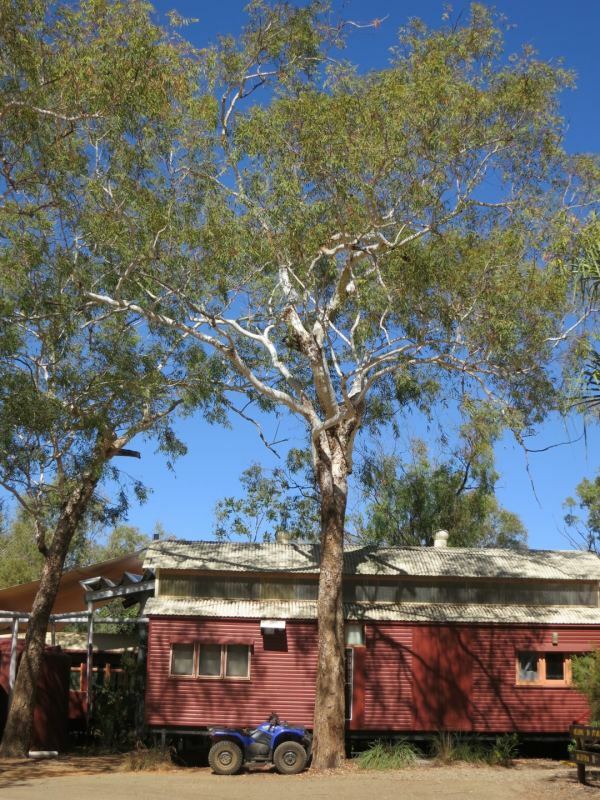 The location has been subject to human activity for over 100 years as a coaching station, cattle station, and now tourist resort on the edge of Undara National Park.